For ages now I’ve been meaning to set up a simple web site to display photographs. 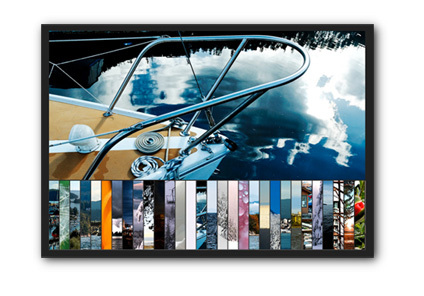 Last year I used a WordPress template to create this mostly photo site for my sailboat Madsu. This time, I wanted something super simple. I’ve been using Slide Show Pro for a while now. It’s real strength comes when you combine it with Slide Show Pro Director, which is a content management system. I use it on the main page of this blog, but also for client sites where I need a rotating banner that’s going to get changed often. Adding new images to the slide show is simply a matter of uploading them to the CMS, and nothing needs to be changed on the website itself. For this little gallery called I Love North Shore, I’m also using the Thumbgrid for navigation.